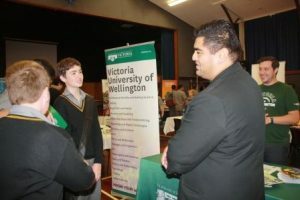 The Careers Department hosted a Careers Expo at Rongotai College on Wednesday 20 March. Providers from various institutions set up in the Renner Hall and all students were given the opportunity during the day to visit the expo. 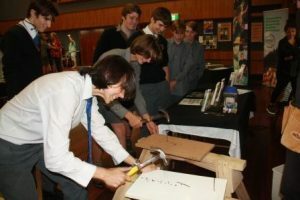 Evans Bay Intermediate School Year 8 students also attended. 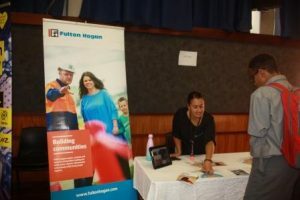 Those in attendance included Massey, Otago and Victoria Universities, Study Link, Institute of Pacific United, Weltec, Whitireia, NZ School of Tourism, NZ Institute of Sport, NZ Police, NZ Fire Service, BCITO, MITO, Yoobee, Rotary & Rotoract, Study International, Crimson Education, Le Cordon Bleu, Duncan & Taylor (Builders), Southern North Island Wood Council and the Inzone Bus. 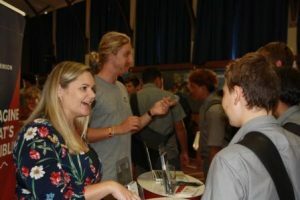 Students found the information and range of attendees to be interesting and were able to ask questions.